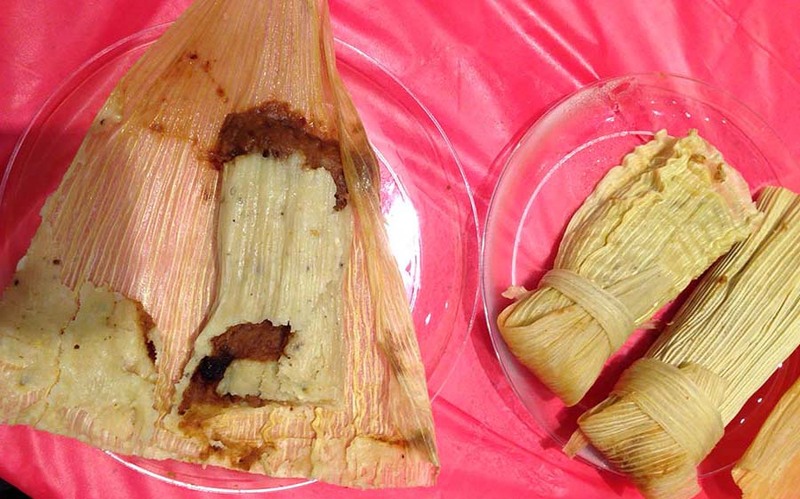 Throughout the San Antonio area, tamales are served at home celebrations on Christmas Eve. Before this trip, I had no idea that tamales were inextricably linked to Christmas but it turns out they are part of las posadas, a traditional Hispanic celebration commemorating Mary and Joseph’s quest for shelter before Jesus was born. 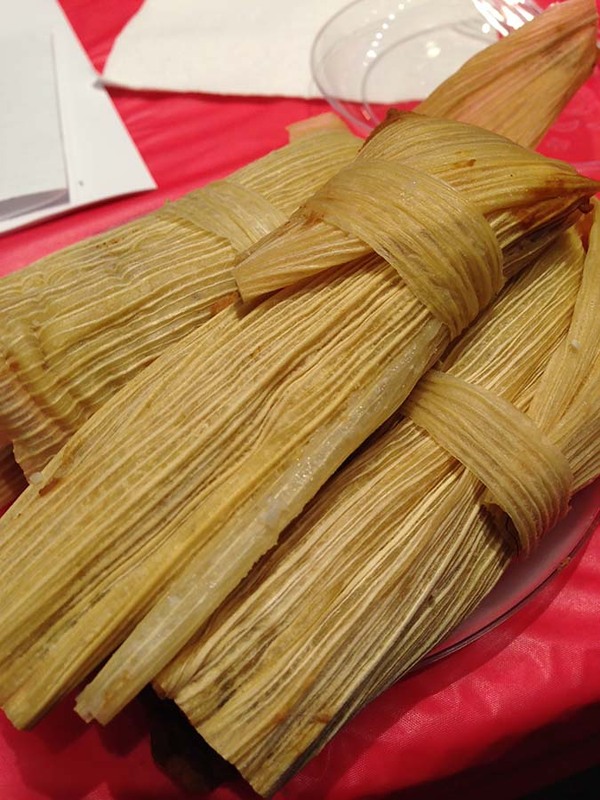 Throughout the San Antonio area, trays of tamales are served at home celebrations on Christmas Eve. If you don’t make them yourself, you have a favorite lady who does — and you get on her list well before the holidays. While not easy to make, tamales are easy to transport, store and serve to a crowd making them perfect for one of the most festive nights of the year. Well before Christmas comes the tamalada, a gathering during which the tamales are made by an experienced group of family and friends. At this annual social event, techniques are passed down from mothers to daughters. 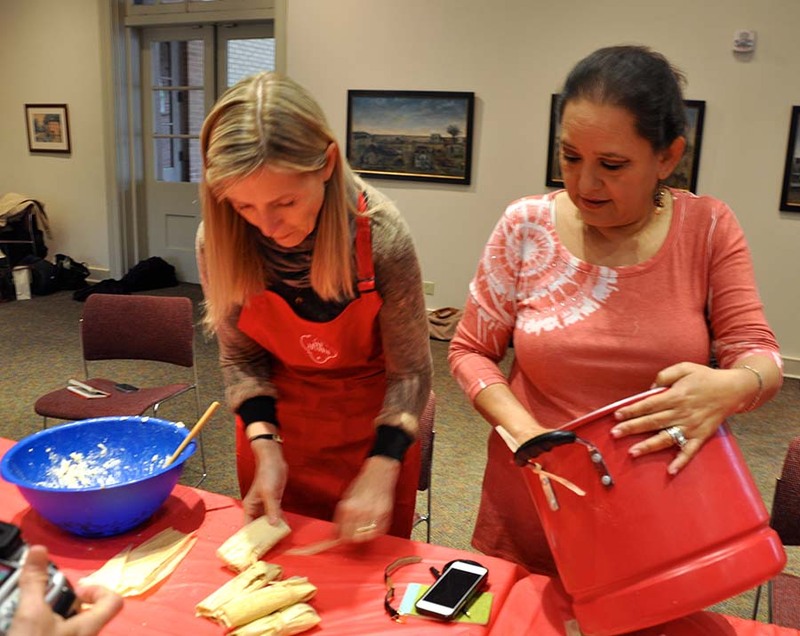 And while the tamalada includes the many steps in assembling the labor-intensive tamales, it also includes laughter, gossip, food, drinks and fun. During a visit to the colorful city of San Antonio in early December, I was immersed in tamale culture. 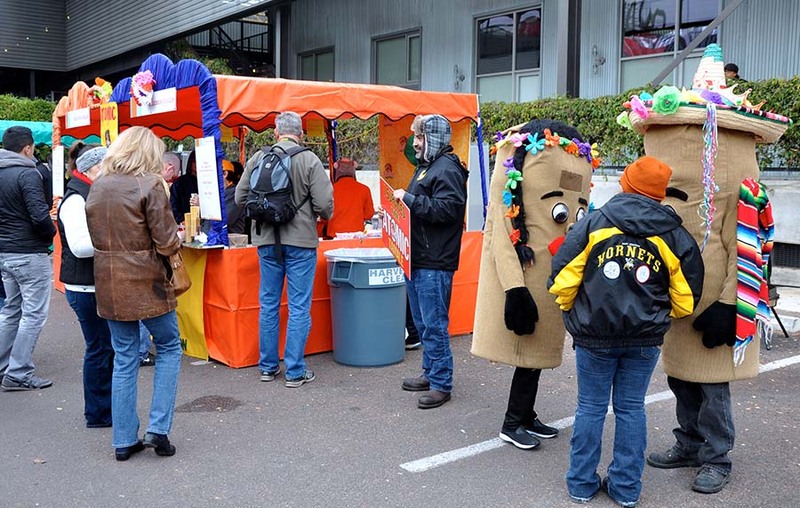 On the same day, I had an expert lesson in tamale preparation followed by a visit to one of the town’s favorite annual gatherings: The Tamales! 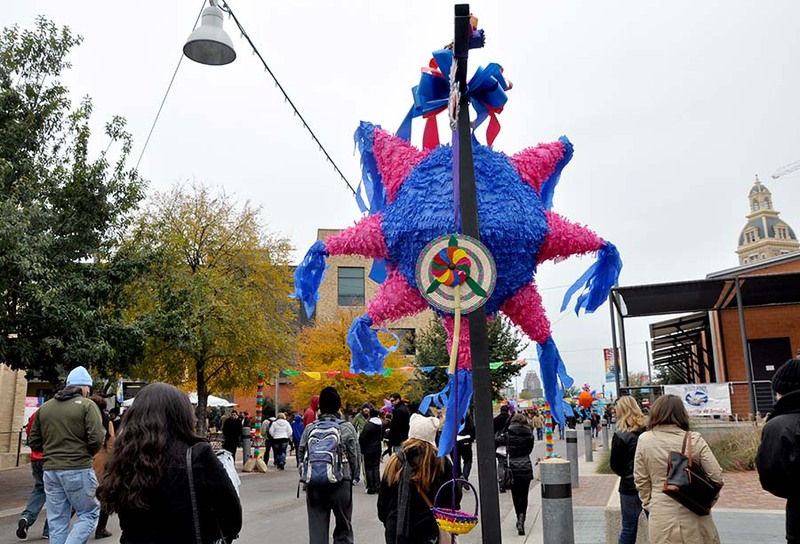 Holiday Festival held at the site of the former Pearl Brewery. This lively outdoor event brings together vendors of all stripes for the dining pleasure of all. We started our day at the Witte Museum where our group took part in La Tamalada: The Art of Tamale Making where we learned that tamales were served in Mexico as early as the 1550s. For the uninitiated (like me), a tamale is made of various kinds of fillings that are steamed or boiled in a leaf or cornhusk wrapper. The process begins with a corn dough or masa, which we mixed with lard using our hands. I generously seasoned mine with cumin, chili powder, salt and some of the water used for cooking dried chili pods, giving it a nice pungent depth. Next, we took cooked beans and seasoned them similarly, also adding the cooked chili pods, which had mellowed into a pungent but not overly spicy richness. Once our fillings were prepared, our instructor Gloria Solis came by with soaked cornhusks in which we’d wrap everything. She expertly guided us in how to put it all together, which began with slathering the masa on the inside of the husk, leaving some room at each end. We added the beans and then rolled them into neat little packages, tying them together with a cornhusk strip. Off they went for steaming and when they came back, we opened them (no, you don’t eat the wrapper – something I didn’t realize the first time I was faced with a tamale!) to find they’re turned into warming, spicy, comforting creations. When working on my masa and beans, I kept adding more salt and spices to the point where I thought I’d overdone it, but once my tamales were steamed, they were flavorful and spiced just right, so over seasoning turned out to be a good idea. 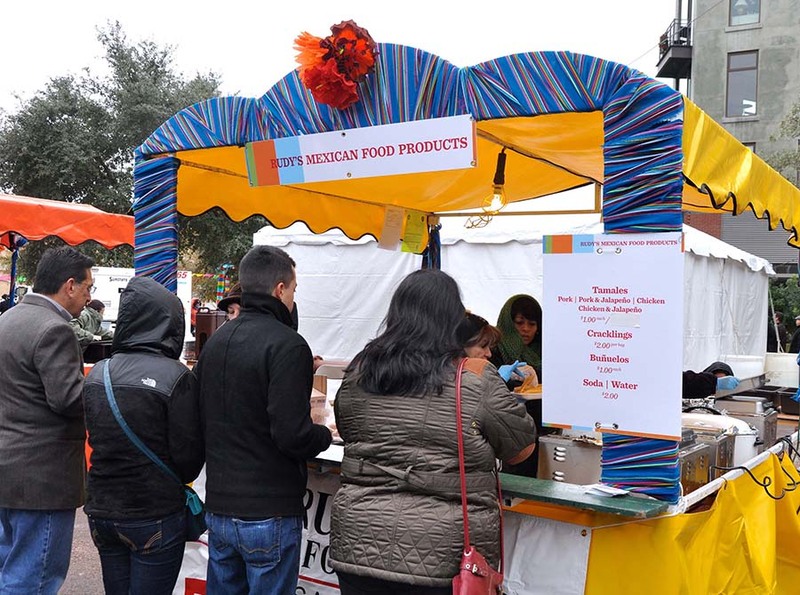 Next, our group hit the tamale festival where over 40 vendors were selling their own individual take on tamales — from local restaurants and regional home cooks to culinary students and accomplished chefs. Some tamales were wrapped in banana leaves, others in corn. Some, like the ones we’d made earlier, were filled with beans, others were filled with chicken mole, pork or various blends of vegetables. Lines were long at some booths and short at others, but to me, they were all delicious. There were tamales that sold for a dollar and others were as high as $4.00. 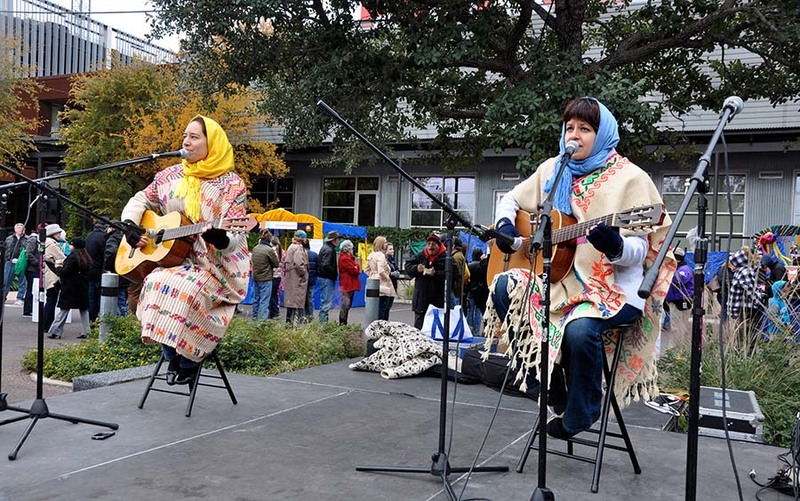 Live music, children’s activities and a huge variety of affordable food made it a great afternoon. 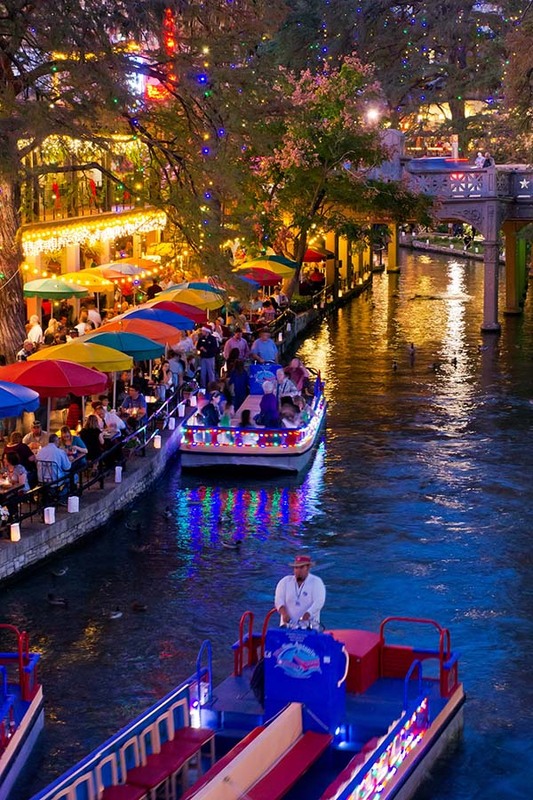 With bright murals and buildings painted lively colors inside and out, San Antonio is not known for its neutral colors. For the holidays, it’s even more colorful. 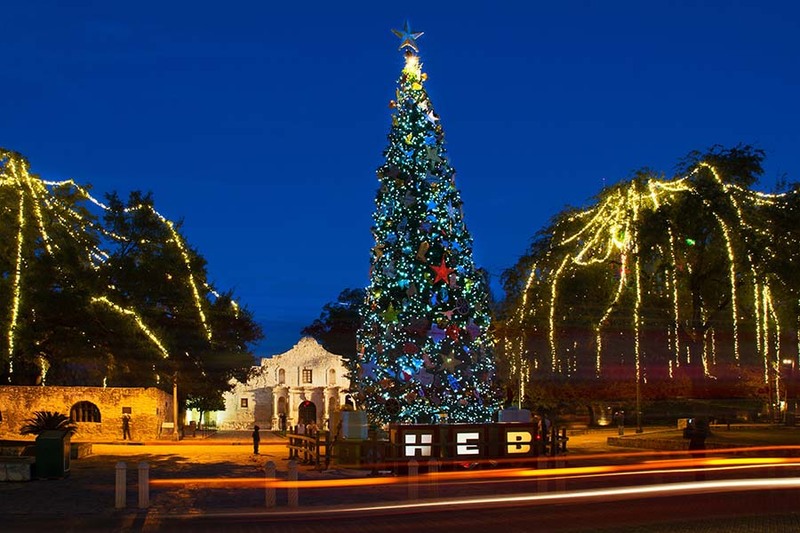 At the majestic Alamo, the holiday lights were truly artful. Along the River Walk, the display was magical and dreamy. From my hotel, The Westin Riverwalk, it was a quick jaunt outside to see all this beauty on foot or by boat. I’d somehow expected the River Walk to be a touristy mecca of vendors and shops, but was pleasantly surprised that it was a quiet and lovely place to stroll with a few cafes and some tasteful shopping areas tucked away in pretty clusters off the main path. Inviting at any time of day, I got up very early one morning and happened upon a sunrise wedding along the walk. In the chill morning air, the guests were wrapped in blankets and smiling at the couple as the sun gradually warmed the scene. I wondered what they had planned for the rest of the wedding celebration and if trays of homemade tamales might be on the menu. 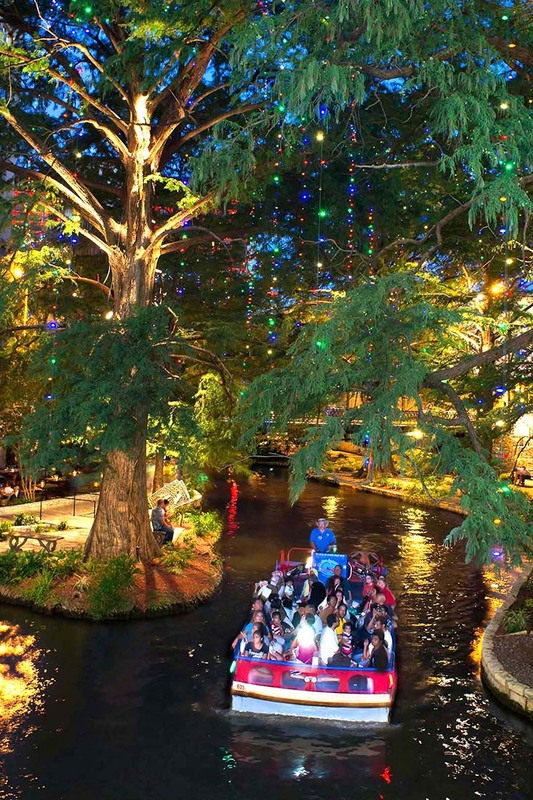 To find out more, call 1-800-447-3372 or go to visitsanantonio.com. 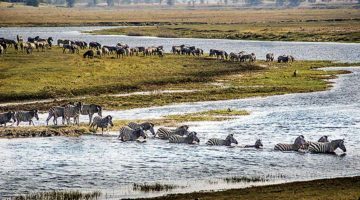 Leslie Long is a NY-based freelance travel writer and photographer. 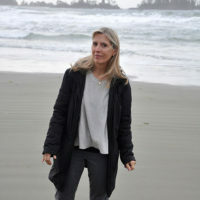 She gravitates toward coastal areas, emerging areas, small cities and destinations that require multiple connections before arrival. 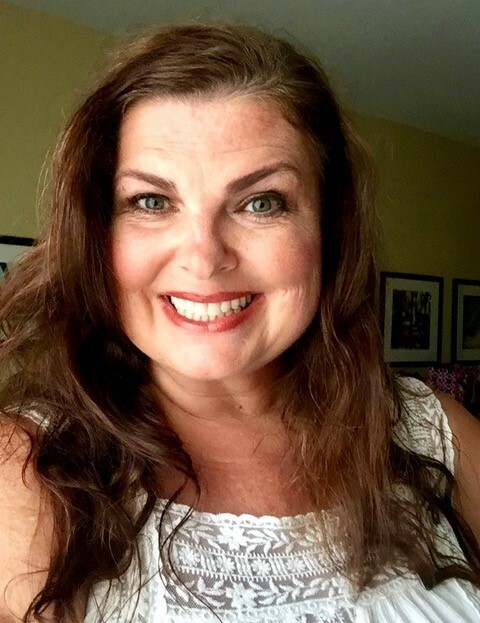 A regular contributor to Westchester Magazine and Limite Magazine, she has also written for the NY Post, Dallas Morning News and Real Food Traveler.